How do you guys think Porky's family would react to seeing his elderly Mother 3 version? I feel like all of them would be very disturbed, especially Picky. His parents would probably try to convince him to get them on their side just to get power while Picky tries to stay away from him most likely because he's scared and still young. I'd most certainly be interested in seeing old Porky interact with Ness. It looks like Porky misses Ness so much, he'd either get too emotional or try to mock him constantly to hide his feelings. I just want a Porky and Ness interaction in any way. Damn. I wonder what Lucas wouldve thought of young Porky as much as i wonder what Ness would think of old Porky. Aloysius and Lardna would be absolutely PROUD of Porky, Heck Aloysius would probably beg for a position within the pigmask army. Also I think if Lucas ever managed to witness Porkys upbringing he might understand and even forgive him especially if he saw Giygas. Ness would be most likely upset with himself not being able to save Porky from giygas influence. Picky would weep for his big brother. I kind of imagined that Picky would distance himself from his brother. Especially after witnessing how much of a monster he became (and stories he heard from Ness). Still no news about a Nintendo or Smash direct? it's been so long that I'm kinda bored. 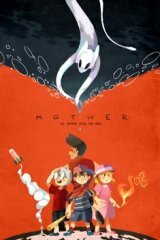 not porky related, but i know there r a ton of ninten fans (im one of them) in this thread so heres some awesome Mother art. So I've been thinking about what music tracks I'd like to see come with a Porky DLC Pack, and I think I've come up with a pretty good list. I decided to limit myself to just 3 remixes though. either Porky Means Business or Porky's Porkies. Those songs are absolute bangers. The rest would be awesome as well. Mind of the Thief is also a really good one. Definitely some of the best songs from mother. Do you think Porky means business and master porkys theme are possible? If they can remix Bloody Tears with Monster Dance, I'm sure they could mash Porky's two themes together. The song "Cumbersome Guys" , "Intense Guys", "Fate", and "Bothersome Guys" absolutely need to make an appearance in Smash if Porky makes it in. I will not accept anything less. The leak is super fake but why does it have to be the clay model? All Mother 3 spirits use pixel art, even Lucas's fighter spirit..
because every Mother character use their origin art, even Mother 1 cast and characters. Mother 3 just doesn't have any clay art so they use their respective sprites instead, lol. plus they would definitely make separate variations spirits for Porky too if he's a fighter, just like K.Rool's other spirits. It's not out of the realm of possibility for Reggie to be the one to announce Mother 3's localization in the west. Just because there is no Direct happening before he leaves that doesn't mean he still can't drop a bomb on us before he walks out the door. I believe he has a big surprise for us all and that surprise I believe is Mother 3 finally being released and localized in the west. We are all Reggie, so any one of us can do it. There's something I've been meaning to ask Porky fans because I don't really know you all too well (I mostly stick around in the Ninten thread). Are you guys cool with Ninten fans? Like there's no kind of rivalry or competition going on right? Just wanted to double-check because as Mother fans, I think we all need to stick together and enjoy whatever content Nintendo is nice enough to give us. I like Porky and Ninten so I don't really mind who gets in. I feel the same way, I'm honestly fine with any Mother newcomer. I think all or at least most of us are like brothers with the Ninten fans so we are friends, not enemies. Porky is one of my top 2 most wanted characters in Smash. I really feel like any way they represent him as a fighter would be really fun. And besides I'm a huge Mother fan so any more representation for that is highly desirable anyways. You guys ever wondered what Mr Carpainter, Monotoli and even Giegue (before his lost his sanity) would have thought of Porky if they ever managed to be aware of the events of Mother 3.
never thought of what their perspectives of Porky would be. Probably fear, disgust, etc. I think Carpainter and monotoli would be shocked but the latter would somewhat pity him. Same here expect Porky is my 5th most wanted character. And I agree, he would be a blast to play with in Smash. 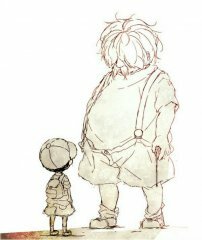 i actually really do want Ninten in the game with Porky. as someone who beat Mother/Earthbound Beginnings again but under a day, there's a lot of ways for him to work as a fighter despite the existence of Ness. a trinity of all Mother protagonists and series' "still breathing" antagonist as the cherry. and, in my opinion, it's something i really prefer than just adding more Mother 3 characters instead ala FE getting the Awakening trio due to recency advantages and the current demand.